Idle Hands | For those who take their free time seriously. Allow me to open with a confession. I’m a huge fan of modern combat. Guns, bullets, and things that go boom. While Jerry Bruckheimer is not my god, he is more than mortal, in the same class as John Woo and Steven Spielberg. So it is with fanboy-ish glee that I present our next feature: Paintball! Background: Basically, a game of tag with guns. You get hit, you’re out. It’s that simple. You can play individually or in teams, in either indoor or outdoor arenas. The playing field is littered with obstacles where you can take shelter (see above pic). The “guns” you’ll be using are called paintball markers, loaded with paint-filled pellets that break apart upon impact and “mark” the impact point. Safety equipment is composed of a mask, gloves, and sometimes a vest. Why it’s fun: Competition at its finest. You have to have speed, cunning, and a steady aim to beat your opponent. Add in the team aspect, and the challenge ramps up considerably! Recreating your favorite action flicks, while enjoyable, is an incidental thrill. Note: Yelling “COVER ME!” or “FORWARD!” through a mask will only confuse your teammates. Hand signs are better–and much cooler. 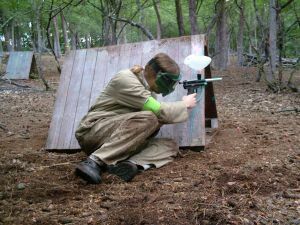 What you need: Access to a paintball arena. Most will have all the equipment ready for rent, and ammo for sale. Just remember to wear old or sturdy clothing. The paint is water soluble, but your clothes (and you) are gonna take a lot of punishment. Those who want to get serious will have to buy masks first of all (hygiene) and then paint markers. Oh, and bring plenty of friends! Suggested for: Military fanboys. People who try to intimidate their reflections in the bedroom mirror. Anyone who’s seen an action movie. Those who can stand the odd bruise or ten. Not for: People who don’t like guns. Or being hit by guns (well, paint pellets). Or people who don’t know when to stop shooting after the opposition gets tagged (Ramon I’m talking to you). Halloween is fast approaching, and it’s time to get into the ooga-booga mood! Curl up in a quiet room with a spine-chilling book, and let your imagination horrify you! As it so happens, I have a great book for you to test your nerve! Zombies have been a long-time horror staple, and have only gotten more popular as time passes. George Romero’s Living Dead films brought audiences both gore-induced chills and subtle social commentary. Max Brooks does the same thing with World War Z, only on a much grander, world-encompassing scale (hence the title). This is, as all works of zombie fiction are, a survival story. But this isn’t just the survival of a person, or a group, or a town, or even a country. All of these are included, but span every corner of the globe (even Antarctica). It is written in the fashion of an oral history, with a fictional journalist recording accounts of survivors. There are stories of doctors, soldiers, and politicians, but they are also all victims. Some people might not find the oral history format appealing, but I find it allows for a greater level of connection with the characters, and allows the story to cover different parts of the world in a logical fashion. I was amazed by the level of research and thought that went into the fictional zombie apocalypse, and how they would be affected by real-world situations, cultures and technology. 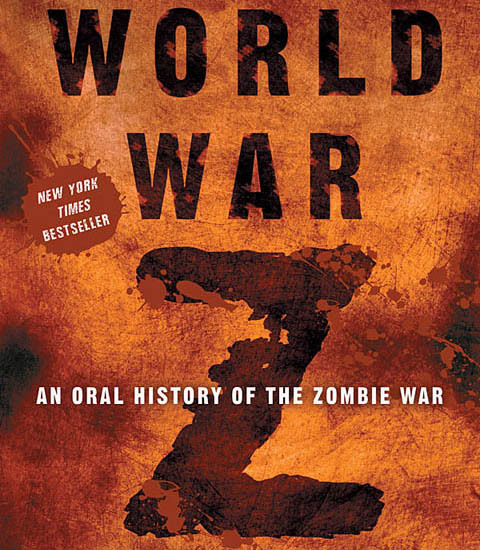 The spread of Solanum (the zombie virus), the effectiveness of bombs and modern military doctrine, and even “quislings” – people so traumatized by the crisis they pretend to be zombies themselves – all have been seriously considered as part of the rich, bloody world Max Brooks has brought shuffling forth. If there’s one gripe I have, it’s at the end (no spoilers, don’t fret). For his conclusion, Max Brooks chooses to revisit some of the earlier characters for their closing statements. By itself, I have no problem with that, but I had trouble telling who was who. After a couple of read-throughs I did eventually figure it out, but it broke the momentum of what would’ve been a grand yet bittersweet conclusion. Still, you’ve got gore, guns, and genocide by zombie bite. This is a great Halloween book for any day of the year! Cooking is this week’s feature! The hobby with the most drool for your buck! Get your oven mitts ready, this one is hot! Background: This was once thought to be the exclusive domain of restaurateurs and mothers. Now (to quote a great Pixar movie), everyone can cook! Not everyone will be good, but you get the idea. Cooking can be just as fun as eating! The variety of flavors and ingredients means recipes will never be boring – and more recipes are being created every day! Why it’s fun: The precise mastery of cooking skills: chopping, slicing, fileting, deboning, etc. 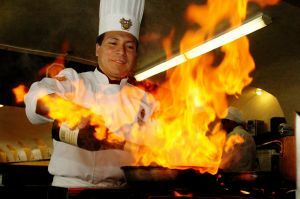 (see Japanese cooking for extreme examples). The artistry of food presentation. The creativity of cooking without a recipe. And of course, eating your creations! Suggested for: Food lovers everywhere. Ability is optional, but eat what you cook. Have mercy on others. Not for: Those who’d rather eat. If you don’t want to, don’t force yourself. Grumpy+chef=bad+food. Ask any cook! Next up we have go-kart racing (a.k.a. kart racing)! And let me just clarify, this ain’t bumper cars. Ready! Set! Go! Background: Grade school for motor sports. Many professional racing drivers honed their skills go-karting, from Michael Schumacher to Jeff Gordon. If you’ve ever wanted the thrill of racing without the expense, then this is for you. In this sport, you drive a small racing vehicle around a race course (indoor or outdoor). It emulates the larger motor sports in nearly every way, with track marshalls, timed runs, pit crews, and safety equipment. Go-karting is biggest in Europe, though it’s rapidly growing in other continents. Most public tracks are recreational, meaning their karts aren’t as powerful, and their courses aren’t as complicated. 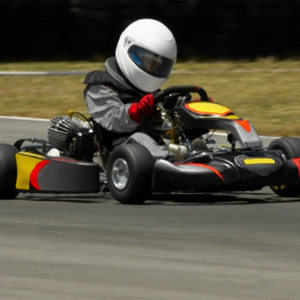 Depending on the quality of the track, safety equipment may range from simple helmets to full-body suits and even engine cut-off switches for dangerous drivers. There’s nothing much to fear, though. You have to really go out of your way to hurt yourself. Anybody expecting climactic crashes like on TV will be sorely disappointed. Why it’s fun: Let me see. The thrill of zipping down a race track in a motorized vehicle? Check. The satisfaction of acing an S-curve and the hairpin turn after it? Check. Triumph as you take the lead after an intense 2-lap battle with your rival? Check. Hell, I dare you to not scope yourself out in a mirror, decked out in a full-body racing suit and helmet. What you need: Access to a go-karting course, to start. And good shoes; sandals will get caught in the gas/brake pedals. The rest of the equipment can be rented at the track. Oh, you’ll want to buy one of these eventually. Tracks wash them, but still… ew. Suggested for: Motorheads and speed freaks who don’t want to risk another speeding ticket. Racing enthusiasts. Those with pent-up aggression from too much traffic. Kids can ride too (don’t need a license)! Not for: Terrified drivers (though you gotta try it at least once)! People with heart conditions. First up is one of the most beneficial hobbies you could ever take up: reading. 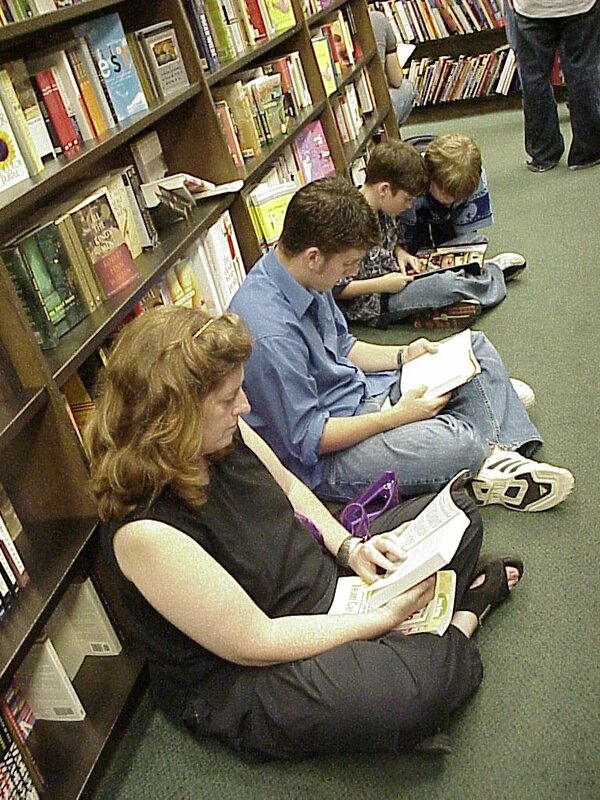 Background: Reading makes you smarterer. Really. If there’s only one hobby you can take up, make it this. It’s just as educational as it is entertainment. There are many things you can read that can fit your fancy: Biographies, self-help, historical, mystery, fantasy, science fiction, romance, etc. Heck, if you feel daunted by the prospect of a thick book, you can try children’s or young adult’s books. The Hardy Boys, anyone? Why it’s fun: Each genre has its own reason! Pit yourself against a mystery author and try to solve the crime before she reveals it. Revel in the bad-assery of an adventure/thriller. Shiver as you turn each new page of a horror novel (The Shining is still my #1 horror book). Gape at new worlds and creatures in fantasy/science fiction novels. Broaden your horizons with historical and cultural narratives. Learn how your idols lived and died, succeeded and failed with biographies. Feel free to share your reasons in the comments below! Requirements: A book. Duh. Available at any library or bookstore. Used books are available for dirt cheap. Ebooks too (piracy bad)! Not for: n/a. Even the blind can read. So here’s how the hobby features will be formatted. Trust me, you’ll be grateful later on. Background: Brief explanation on what the hobby is about and why people find it so fun. Yes, I need to explain the “fun” part. I’ve seen many activities that leave me scratching my head. Requirements: Some need a driver, some need a driver’s license. Stuff you need to get if you want to pursue the hobby. Suggested for: Who might be interested in this? No names, just profiles. If you don’t match the profile, don’t worry. Break the mold! Not for: People who will either be bored or find this activity too challenging. Again, feel free to prove me wrong. Relevant links: Sites where you can learn more. Everybody needs a hobby. That’s not an opinion, that’s a fact. Let’s face it, the modern working environment is stressful, and we need all the help we can get to relax. But with personal time so rare and valuable, you need to carefully consider how you want to relax! This blog’ll give you the basics of various hobbies and activities that you might find interesting. Who knows? You may eventually find your passion *cough*ahem*joy*bleargh*. Oh, and before you ask–yes, family is important too. But sometimes you need a break from family, right? Fine. Have them join in.